Cut avocado lengthwise, and remove the seed. Scoop out some flesh where the seed was before, just enough to fit the egg. Place in a oiled baking dish. 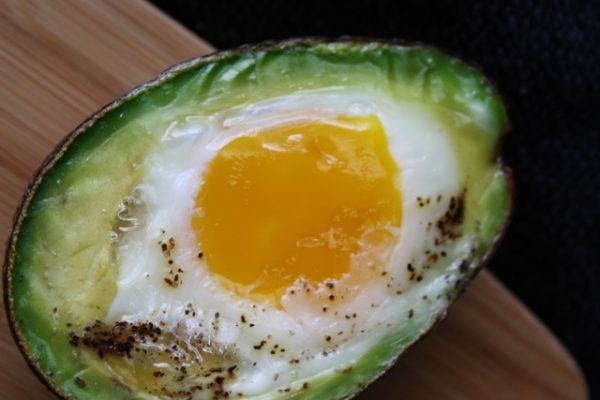 Crack an egg into the avocado. Bake in the oven for 15 minutes, or until the egg is cooked to your liking. Salt and pepper to taste. Top with fresh tomatoes, spinach, bacon pieces, chives, powdered hard cheese--anything you like. Enjoy!